Established in 1936 by members of the Dramatists Guild of America and the Society for Authors’ Representatives, Dramatists Play Service is a theatrical-publishing and licensing house. 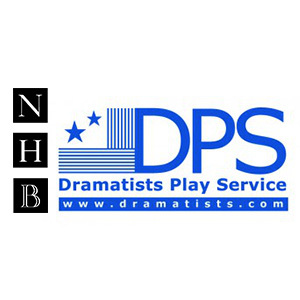 DPS publishes English-language acting editions of plays and handles the licensing for professional and nonprofessional English-language productions of these plays in the United States, Canada, and throughout the world. DPS is based in New York City, with foreign affiliates in different countries that serve DPS’ interests in their respective regions. The DPS catalogue consists of over 3,300 titles from 1,300 authors. DPS is especially known for its extensive list of Pulitzer Prize and Tony Award-winning plays. DPS authors include Eugene O’Neill, George S. Kaufman, Tennessee Williams, Arthur Miller, Horton Foote, Edward Albee, Sam Shepard, Lanford Wilson, Richard Greenberg, John Patrick Shanley, Doug Wright, Tracy Letts, and Frederick Knott. The list of plays includes work by many of the UK’s preeminent playwrights, as well as some of the most exciting emerging writers. We work with major theatres and theatre companies across the UK and in Ireland to publish new plays alongside their professional premieres, often in the form of a ‘programme/text’ that combines the functions of theatre programme and playtext. Nick Hern Books also publishes many classic plays and plays in translation, together with a wide range of authoritative theatre books, many of them written by well-known theatre practitioners. Their titles are distributed internationally through our publishing associates: Theatre Communications Group in the USA, Currency Press in Australia and Playwrights Canada Press in Canada. JAGRITI represents Dramatists Play Service (DPS) USA and Nick Hern Books (NHB) UK, to issue Licences of Perform the plays for which DPS and NHB hold the Performing Rights. Licences must be procured for every performance and venue on dates and times specified. Repeat performances of plays are not covered by the Licence originally issued and must be applied for stating venue, dates and times of performances. Requests to Perform from are frequently directed to us from neighbouring countries. Please note that Jagriti is only authorised to issue Licences to Perform. Requests for adaptation and translation of a work under copyright must be directed to the appropriate agent.